Forklift safety systems provided by Protrac iD's collision alert systems. 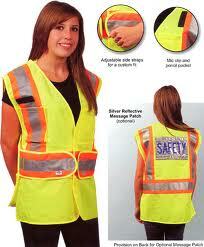 Reduce the risk of incidents and increase safety in the workplace. Prevention is better than cure. Smart management and forward-thinking businesses introduce and apply safety systems and procedures that prevent major tragic incidents and minor accidents in the workplace. “Prevention” costs are always cheaper than “cures”. Most products available depend on pedestrians being alerted to the forklifting machinery itself whilst it is in operation. Using fixed flashing lights and painted safe walk zones puts the onus and responsibility solely on pedestrians. The technicians at Protrac iD, being aware of this fact, have developed a forklift safety systems that double safeguards both pedestrians and operators, providing a very practical and sensible RFID solution which shares the prevention of accidents between forklift operators and pedestrians. Contact us for more information on our forklift alert safety systems. The National Institute for Occupational Safety and Health (NIOSH) documents nearly 100,000 reported injuries reported each year as a result of forklift accidents. Of these, almost 100 are fatalities – a tragedy for the families and for the staff. These accidents cost an estimated $100+ million to employers annually, yet most forklifts accidents are completely avoidable. It has been mandatory for some time now to wear approved high visible personal safety vests in the workplace in order to avoid accidents in high traffic danger areas or fast-moving environments. Though a good safeguard, this requires extra attention from forklift operators to maintain high safety levels for pedestrians and work colleagues. The Protrac Id Forklift Safety Systems removes this added pressure from the forklift operator allowing him to give his attention to the task at hand. 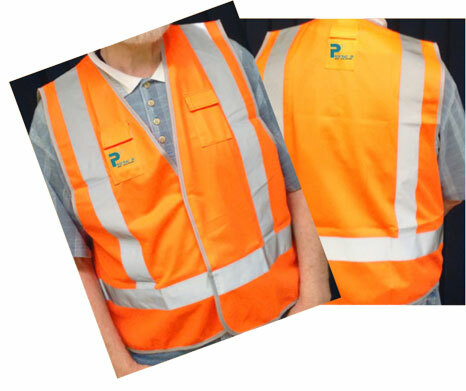 The Protrac iD forklift safety system is weatherproof and washable compact RFID Tag is incorporated or sewn into any type of personal visibility vest or site protection apparel. The tags are detected by each forklift truck when the tag enters the adjustable detection field around a forklift. A warning sounder and flashing light alerts the operator of the forklift that a pedestrian is nearby. The detection range is adjusted to suit site requirements and the Protrac iD software enables management to adjust range settings to assist in the detection of pedestrians onsite. Implementing FAS, which shares the responsibility of accident prevention between forklift operators and pedestrians, good management in responsible businesses reduces the risk of incidents and increases safety in the workplace. Compact RFID tags are incorporated and pocketed into all types of visible safety vest or garment which are required by Workplace Health and Safety personal protection requirements. The FAS RFID Tags are detected by each forklift truck when they enter the adjustable detection field around a forklift. A warning sounder and flashing light alerts the operator of the forklift that a pedestrian or obstacle is nearby.